You are here: Home / Firefly attending conferences in Cork and Wales this weekend. / News / Firefly attending conferences in Cork and Wales this weekend. Firefly attending conferences in Cork and Wales this weekend. 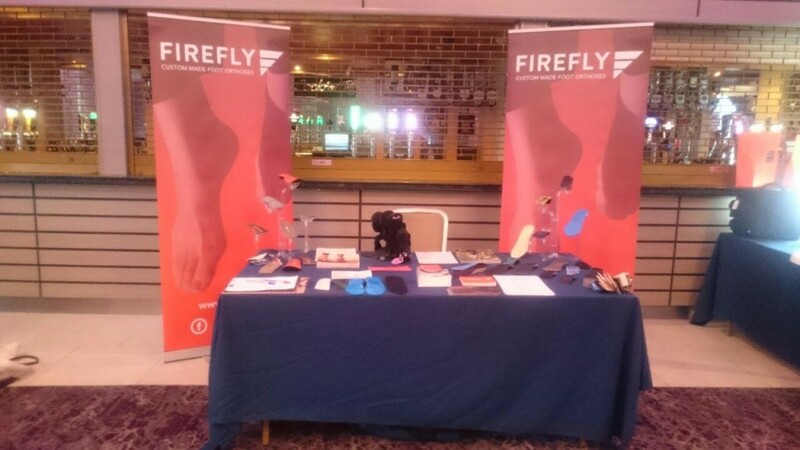 Firefly Orthoses are attending the SCPI Conference in Cork at the Rochestown Park Hotel and the Wales Podiatric Medicine Conference in Cardiff this weekend. The SCPI conference is focusing on ‘Strength and Flexibility’ and Firefly’s Maurya and Eimear are attending with a full selection of sample Firefly products. This event takes place on Saturday only. Claire is flying the Firefly flag in Cardiff at the Wales Podiatric Medicine Conference in the Mercure Hotel which takes place on Friday and Saturday. Make sure to call to our stands if you are attending either of the conferences. https://www.fireflyorthoses.com/wp-content/uploads/SCPI-Cork.jpg 720 1280 Conor https://www.fireflyorthoses.com/wp-content/themes/firefly/images/firefly-custom-made-foot-othoses-logo-black.png Conor2016-04-08 17:01:532017-02-03 08:57:50Firefly attending conferences in Cork and Wales this weekend.